When we become too wedded to our own solutions, conflict resolution conversations can get pretty stuck. 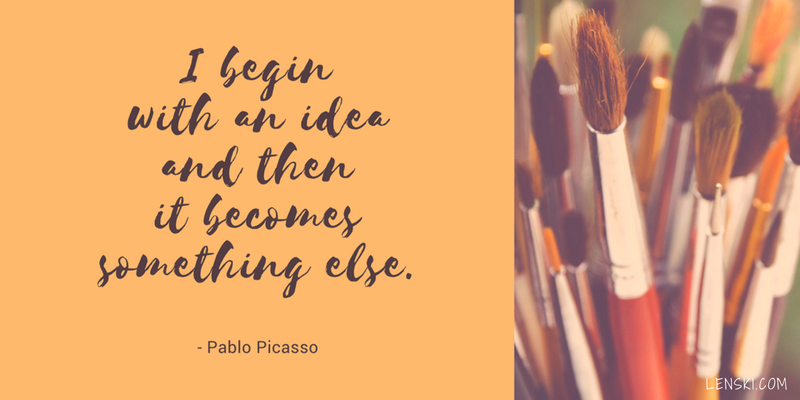 Here’s a trick of the mind to help us stay flexible (even when we’re sure our solution is brilliant), courtesy of Pablo Picasso. Nearby were two large holes in the earth, destined to hold footings for our new deck. This was years ago, when we were just starting out in our careers, and we wanted to save money by digging the holes ourselves. We’d promised our contractor we could pull it off, so she’d marked the locations for the eight footings and gone home for the weekend. The concrete truck would arrive first thing on Monday morning. I had campaigned hard to rent the auger instead of dig the holes by hand. 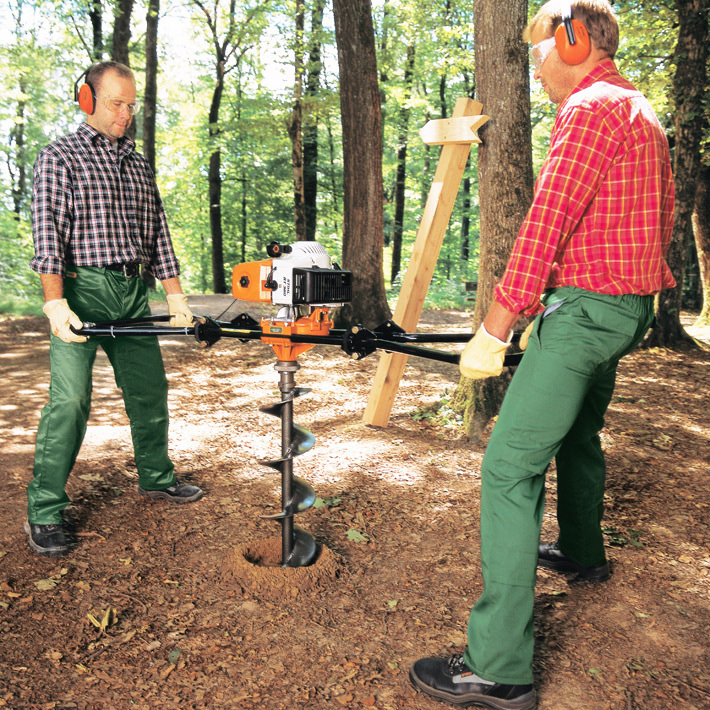 Neither of us had ever used a gas-fired auger, but it was very clear to me that power equipment would do the job much more efficiently than hand tools. So far, it hadn’t gone very well. The auger had a bad habit of lurching around the minute it touched the earth, so we kept obliterating the X’s Rita had marked on the grass. We had to stop repeatedly to re-figure the original location of each X. Several times my husband suggested we trade out the auger for the post-hold digger and shovels in our garage, but I would have none of it. Six hours later we finished the eight holes. I had to admit it was hard to imagine the post-hole digger and shovels taking longer than the auger had. And our yard looked like it had hosted a group of drunken groundhogs. Rita returned on Monday afternoon, after the concrete was poured. She stared at the footings in silence. She took out her measuring tape and measured, still in silence. We saw her shake her head and mutter something under her breath. I’d fallen in love with my solution and that love blinded me. Ah, young love. It also cost us several additional hours and extra money for the contractor to adapt the deck plans to the unexpected footing locations. I see this in problem solving, too: We become wedded to our solutions and spend a great deal of time and energy trying to get them to see it our way. When we fall in love with our own solution, we soak up the space needed for other possibilities to grow. Why do we do this? In the case of the auger, I fell victim to the sunk cost fallacy, investing so much time, money, and energy in the auger, it became ever harder to abandon it, even as it became ever more clear it was wasting time, not saving it. We’ve hurried too quickly through the groan zone, skipping the messy work of deep understanding in the name of “efficient” problem solving. Solutions give us hope for an end to the pain and discomfort. Sometimes we run straight to solutions in anticipation of pain we haven’t even encountered yet. Certainty is comforting during the discomfort of conflict and tension. And the more we tell ourselves our story of the conflict, the more certain we become with each replay of the story. One we have a solution that feels good enough, we trigger a sort of subconscious laziness in our brains to conserve energy needed to manage cognitive load. We don’t like them and don’t want to take their needs and wishes into account. So there. …it’s time to fall out of love with our solution long enough that other ideas can get onto the table and we can do the good work of understanding each idea’s merits and risks. Begin with an idea and allow it to become something else. Instead of thinking of our solution as the end, we flip it in our mind and think of it as the beginning. A first pass. An idea to toss into the mix. A starting point from which to build. I sometimes place a copy of Picasso’s quote in the center of the table when I’m mediating. Here’s a PDF copy for your own conference table.